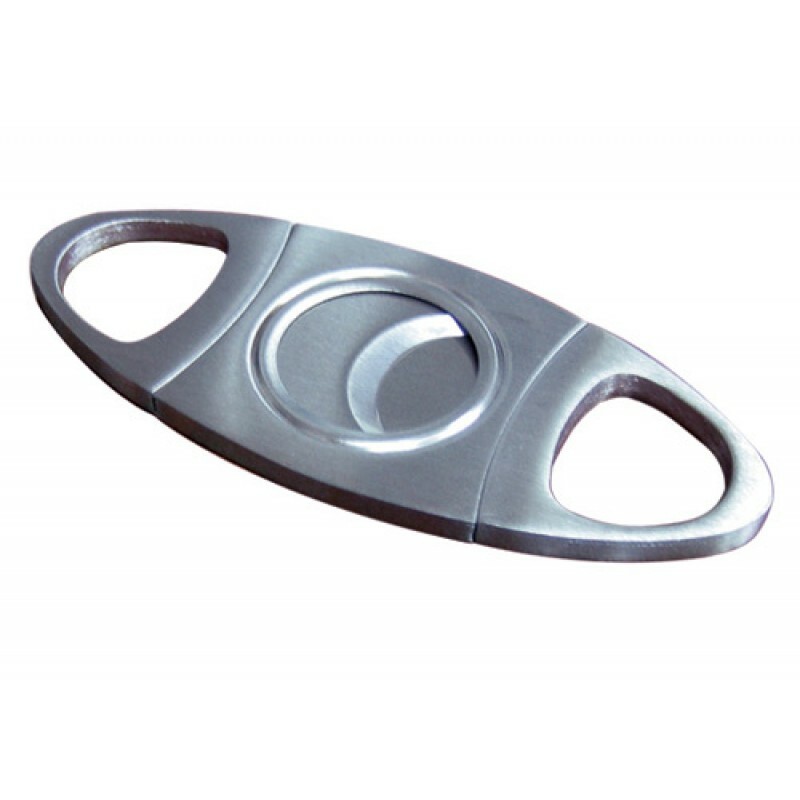 Full body silver cigar cutter set in a handsome black gift box. 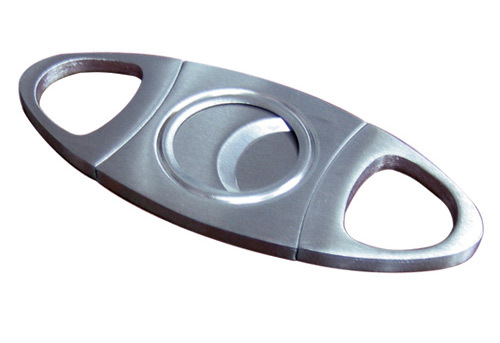 This metal cigar cutter features a set of stainless steel blades and cuts up to a 56 ring gauge cigar. The perfect cutter that looks substantial all at a great price. Hey, what can I say? This is a perfectly serviceable cutter that cuts cigars sharply and cleanly.